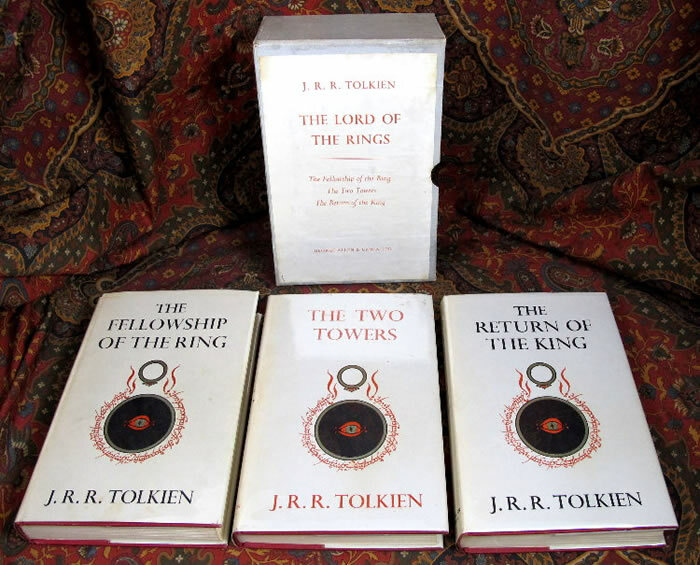 The set is housed in the original publishers slipcase, showing some wear and rubbing to the edges, some minor soiling, label still relatively clean and bright. 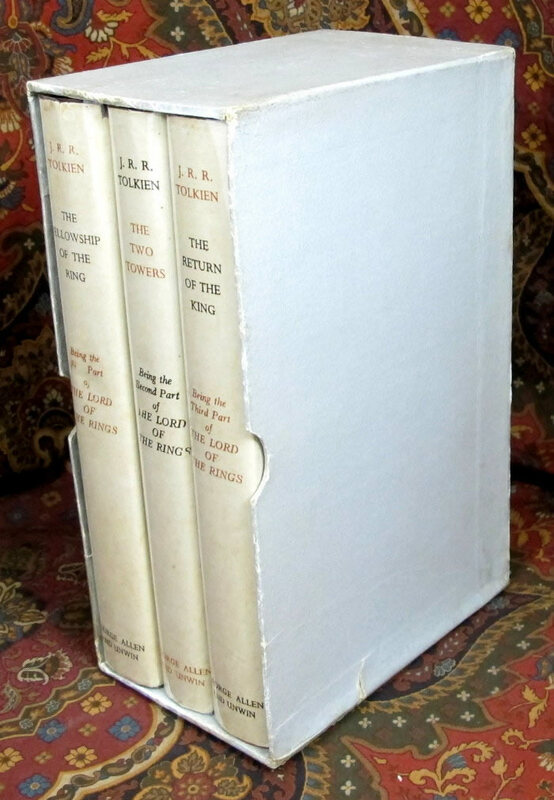 George Allen & Unwin, 1962 1st Editions, 12th imp/9th imp/9th imp. 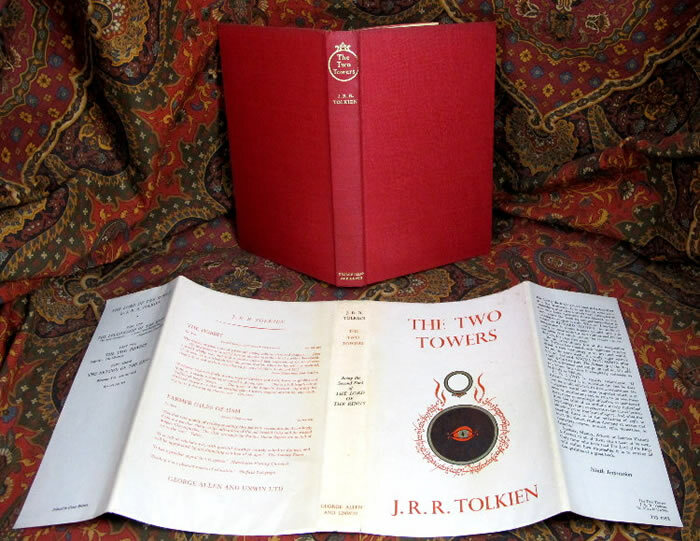 An exceptionally nice set of first editions of this classic of fantasy literature. 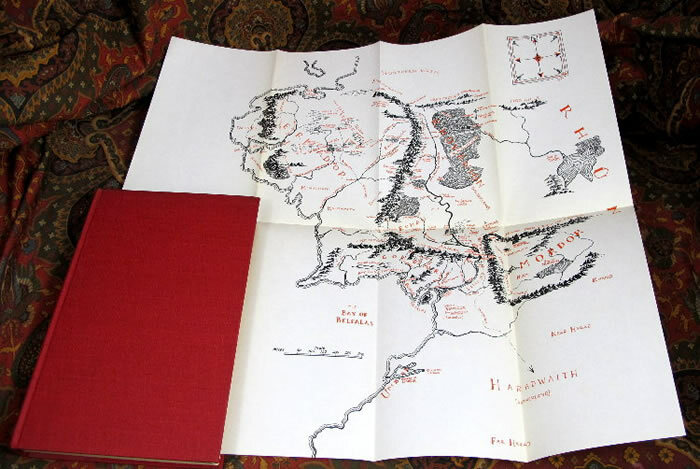 The set is in Very Good Plus condition, with no writing or signatures in the books. There is no foxing or offsetting in any of the books. The exterior cloth is clean, with the gilt untarnished and bright. 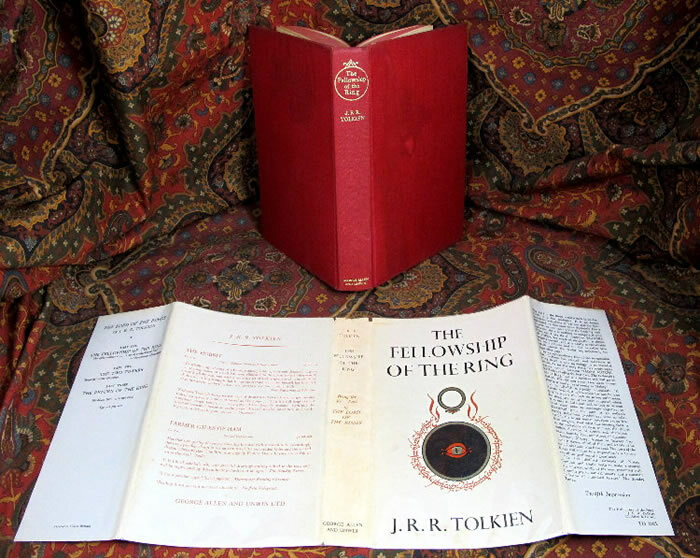 The Fellowship shows a light dampstain to the front boards, but does not effect the book or dustjacket. 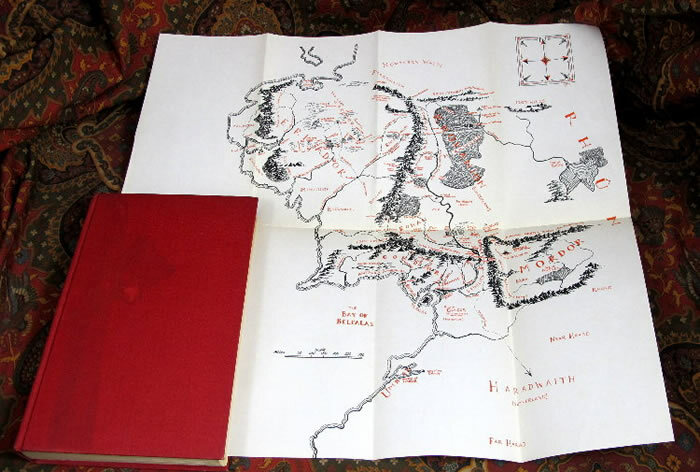 The books are clean and tight, and the maps are attached, and show no extra folds or tears. 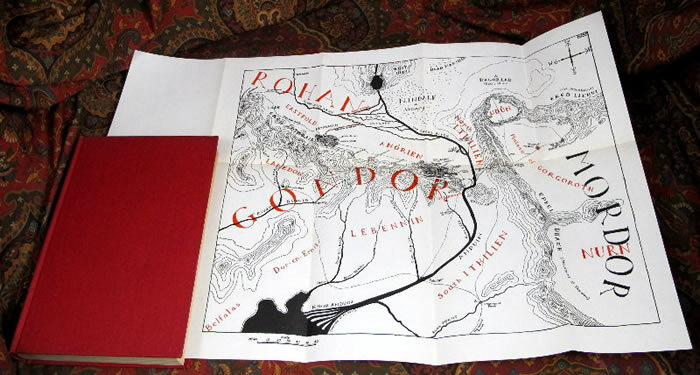 The dustjackets are complete and the correct impression for the books. 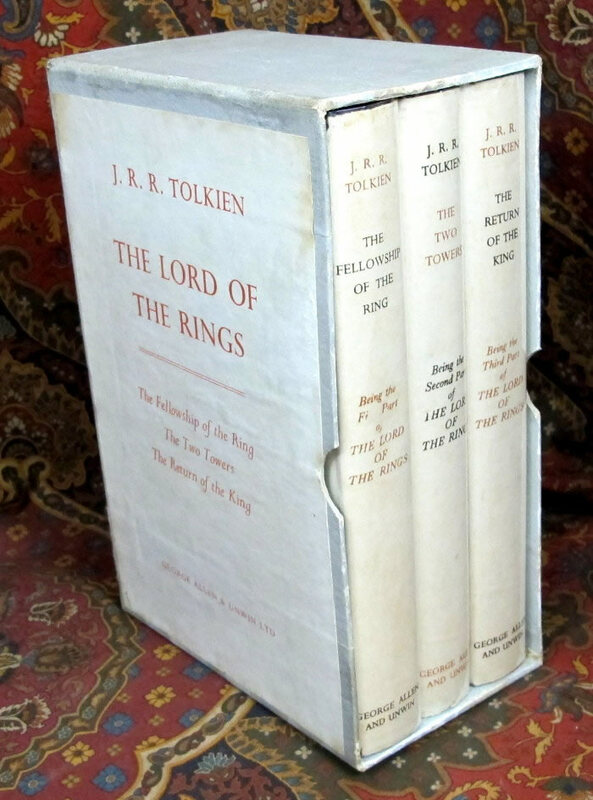 The dj's are Very Good Plus with minor chips to the top of the spine folds on the Fellowship, with no chips or rubbing to the other two. 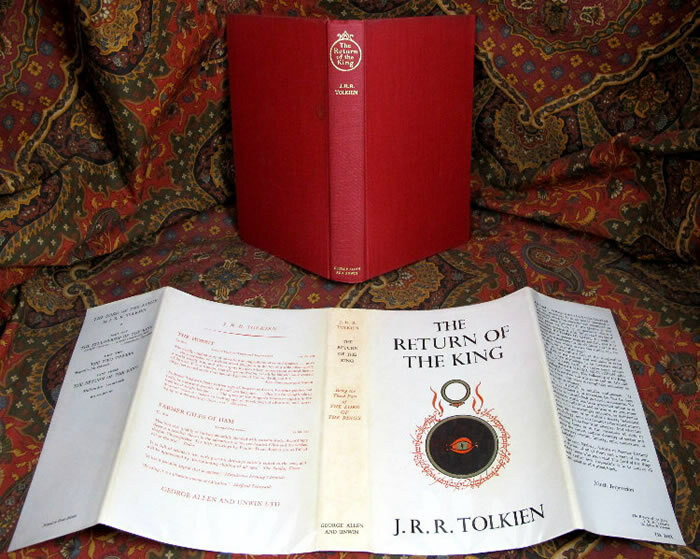 The dustjackets show light tanning to the spines, much less than normal, with a scrap to the Fellowship, effecting the red lettering in the script 'First' essentially removing the 'rst'. 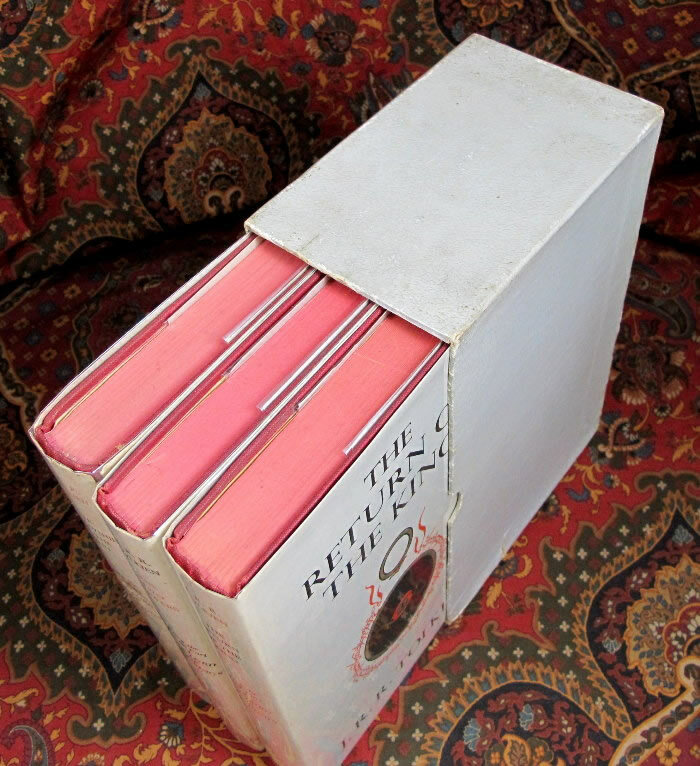 The edges of the slipcase show some light wear, but have protected the books for almost 50 years. Terms of sale: Prices are only indications, always inquire if books are still available. We accept Money Orders, cash, or Credit Cards (paypal) for immediate shipping. Checks will delay shipment for 10 days for checks to clear. Please inquire for shipping quotes.